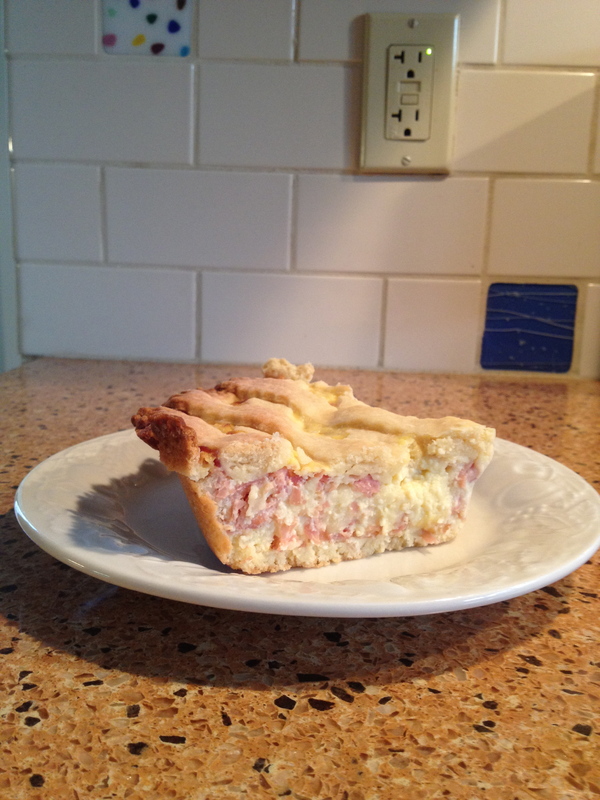 Pizza Rustica: Truly cheese pie! 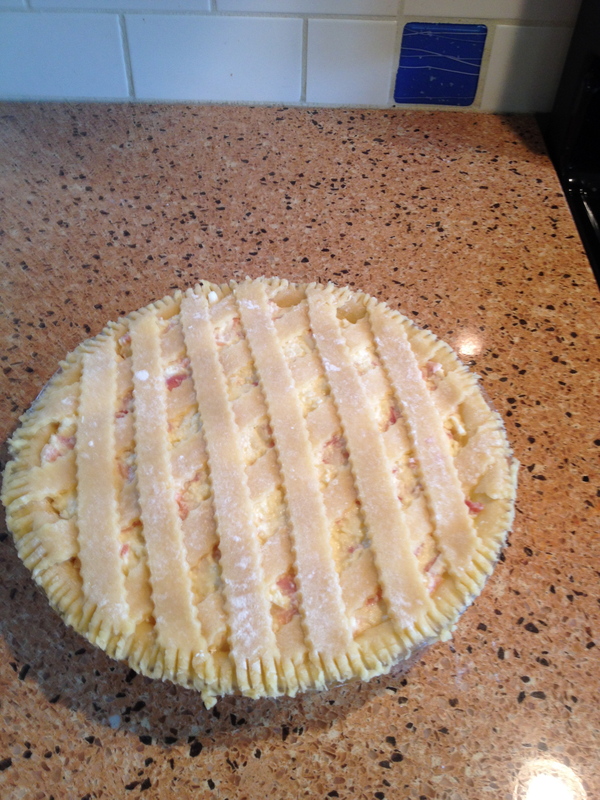 My sons have always had a “thing” for pie…and cheese…Pizza Rustica fulfills both their dreams and was also beautiful! The crust: delicious! What else can I use it for? I’ll be figuring that out, you can be sure. I think the one thing I might do differently is change the Pecorino Romano to Parmesan – slightly (although I know not a lot) less salty. The book had it right: the sweeter crust is definitely needed to off set the saltiness. But, I’ll be making this again. Oh, and my second favorite thing about this project? I got to go buy a new kitchen gadget: a fluted pastry cutter!